January offers the first opportunity for businesses to evaluate their performance during the busy holiday season and, for many, to consider and commit to a plan for the coming year. Unfortunately, if cash flow is tight during this critical time then it can set a business up for failure. Whether you believe in making resolutions or are afraid of breaking them, we have five business cash flow resolutions that companies can use to eliminate (or greatly reduce) their cash flow concerns. Are you overpaying for services or, worse, paying for services you don’t even need? As service contracts come up for renewal, look carefully at your expenses and decide if you are getting the best value for your money. Eliminate unnecessary expenses and research cost-effective alternatives. Also, you may want to approach the companies you work with to reduce your payments, whether by negotiating a lower rate for services or by exploring early-pay discounts. Please do not confuse this resolution with “build your client base”. That is a great business strategy, of course, but taking on a new client may not be the best initial source of that all-important cash flow. New clients take time and money to travel through the sales funnel, and once you’ve converted them you have just created some great new…receivables. It may sound counterintuitive, but your existing clients are actually a much better immediate source of cash than a new client. By researching your current clients’ purchases you can establish patterns of buying frequency and volume; from there, you can anticipate your clients’ upcoming needs and create targeted offers to encourage them to make another purchase – ideally, on cash rather than credit. • Clear payment and collection terms: Make sure you communicate your payment terms, due dates, and collections processes to all new clients, and that you inform all clients of any changes in processes immediately. • Immediate invoicing: The faster you send out invoices, the faster you can expect payment. Using a system such as QuickBooks, or even simply emailing invoices, will create a paper trail you can reference at any time. • Easy payment options: Online payments through a central system, by ACH, or by credit card are far easier and faster to process than a check that has to go through the mail – and easier for you to keep track of as well. • Quick-pay discounts: Offering discounts for early payment may mean sacrificing five percent of an invoice, but it also means that the other 95 percent is available in five days instead of 30. In the short term, yes; however, a long-term plan for growth is also a critical element to cash flow success. If you take the time to research current market trends and potential new clients you can enter the conversion process with a complete understanding of their positioning and needs and quickly convert them from prospects to loyal clients. Of course, the most effective resolution you can make to improve your cash flow in 2014 is to factor your accounts receivable. Invoice factoring gives you immediate access to cash so you can keep your expenses on track without worrying whether your clients are doing the same. It gives you the breathing room to explore new ways to turn your sales into cash, and the flexibility to grow your business without creating debt on your balance sheet. 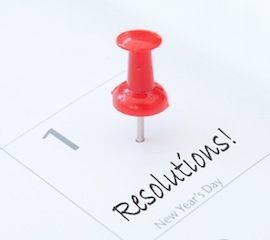 Follow these five cash flow resolutions, and your company will be on the way to a cash-healthy 2014. About the Author: Factor Finders specializes in finding factoring companies that can fund difficult-to-place deals. Our services help other factoring brokers capitalize on commissions that might otherwise be lost. If you have a prospective transaction that you cannot find a funder then contact us at FactorFinders.com. We’ll find the factor for you and split commissions 50-50.